For the month of June, I thought I would pass along a few of my favorite salads I fix when its hot outside. These are really great for parties and gatherings too. I love grabbing a serving for lunch or with a sandwich. My first salad is Southern Coleslaw. What makes it southern you say? An “always in the pantry, don’t put anything in front of it in the fridge” mayonnaise. There are many different brands to choose from, but our family prefers Kraft. Hubby likes full strength Kraft, but I like the lite version. SSSHHHHHHHHH……..don’t tell him I use that in my recipes. A little history about coleslaw is that when mayo was born in the US in the mid 18th century, coleslaw was not far behind. 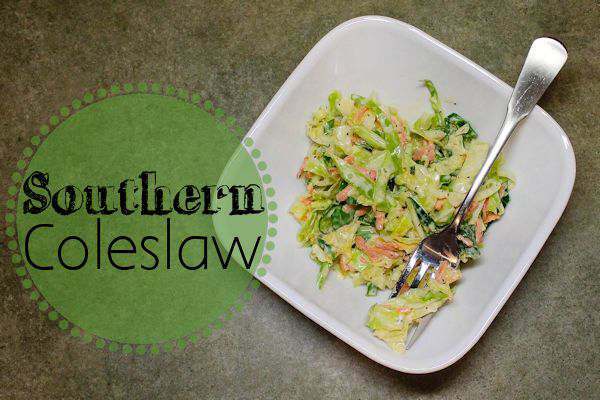 The word coleslaw derived from the Dutch term “koolsla” with means cabbage salad. The term “cole” refers to “kale”. I serve coleslaw alone or on sandwiches. 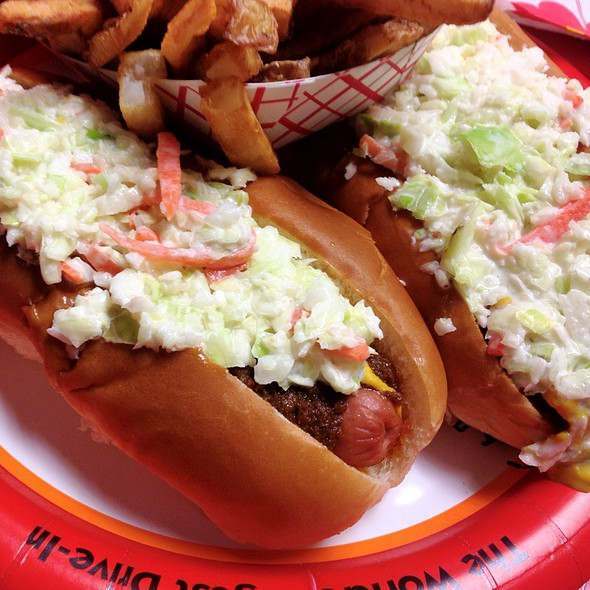 If you are familiar with The Varsity in Atlanta, Georgia, then you know about the Slaw Dog. It’s basically a hot dog with slaw on it and my hubby’s favorite. I prefer their hamburgers and Frosted Orange. If you are ever near Atlanta, stop by and experience a legendary restaurant. Its worth at least one stop. The Varsity also has a great story about how it became what it is today. I love the fresh taste of salads and this homemade version of coleslaw will give your arms a work out if you chop everything up yourself. Or if you have a food processor, that’s the route to go. I remind my hubby that whenever I’m in the kitchen chopping away. Maybe someday he will get the hint! Mix dressing ingredients well in a bowl and set aside. Chop very thin cabbage and onion. Shred the carrot. A food processor works great for this. Mix dressing and salad ingredients together and store in the fridge for a few hours before serving. I usually double this recipe for a crowd. Sounds just like my mother’s secret recipe! which is, of course, yummy! I love a slaw dog and have it as often as we have some coleslaw in the fridge. Thanks for stopping by. My husband loves coleslaw and I NEVER make it. Thanks for the recipe and inspiration.